LAS VEGAS, NV--(Marketwired - January 05, 2016) - CES - MOTA, which introduced the world's smallest, lightest drone in November 2015, today introduced six new drones at CES 2016, ranging from autonomous commercial workhorses to smaller-than-pint sized models that bring the thrill of drone flight to everyone. CES is one of the world's largest consumer technology events. "Our new drones span a huge range of flight, from aerial platforms for commercial applications to Lilliputian nano drones for pure fun," said MOTA President Michael Faro. "With today's announcement we're introducing a fleet for almost any airborne task, some with capabilities never before seen in either consumer or commercial drones." MOTA GIGA™-8000 headlines the line-up for commercial applications. Its optional patent pending DRONE HANDS™ Flight Management System provides autonomous flight and payload handling for mission-critical work in areas such as agriculture, defense, energy, first responder, real estate, security, and more. The GIGA-8000 also features pre-selected flight patterns, auto-follow, and dual GPS. 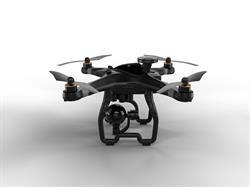 It can be equipped for pro-level HD streaming videography and it has a high-capacity battery for extended flight. 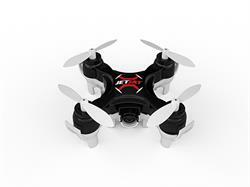 MOTA GIGA-6000 provides selectable flight patterns, as well as auto follow, HD video streaming, and dual GPS. MOTA Pro Live™ drones offer video streaming made business-simple. Ready to fly right out of the box, MOTA Pro Live-5000 and Pro Live-4000 feature auto takeoff, auto landing, and selectable flight patterns to capture images at just the right moment. The Pro Live-5000 sports six rotors for unparalleled maneuverability; the other models have four. MOTA JETJAT™ Nano and MOTA JETJAT Nano-C are miniature renditions of their much larger cousins. Both JETJATs provide exceptionally nimble flight for outsized fun. Less than an inch in any dimension -- 22 x 22 x 20 mm (.87 x .87 x .79 inch) -- and barely nudging the scales at less than one-half ounce, JETJAT Nano is believed to be the world's smallest, lightest consumer drone. JETJAT Nano-C, new for CES, adds SD-card video recording, allowing JETJAT jockeys to roam the skies at blazing speeds documenting aerial stunts worthy of Evel Knievel. The Nano-C's dimensions are a modestly larger 32 x 32 x 22 mm (1.26 x 1.26 x .87 in.) and its .6 oz. weight just a tad heavier than the Nano. MOTA JETJAT Live-W™ is a palm-sized drone that delivers HD video streaming. At a svelte 15 x 15 x 4.5 cm (5.9 x 5.9 x 1.8 in.) and 2.5 oz., it comes with a controller featuring an integrated video display for the some of the most cost-effective video streaming in drone flight. MOTA JETJAT Nano is available now from leading retailers and from MOTA at an MSRP of $39.99. Availability and prices of the MOTA GIGA-8000, MOTA GIGA-6000, MOTA Pro Live-5000, MOTA Pro Live-4000, MOTA JETJAT Live-W, and MOTA JETJAT Nano-C will be announced in Q1 2016. MOTA builds innovative and stylish consumer products that enable people to command their world while having fun. From drones to much more, we imagine, then bring to life, wearables, gadgets, and mobile accessories to help make people excited and happy. Visit www.mota.com or write info@mota.com. MOTA, MOTA GIGA-8000, MOTA GIGA-6000, MOTA Pro Live-5000, MOTA Pro Live-4000, MOTA JETJAT Live-W, MOTA JETJAT Nano-C, and MOTA JETJAT Nano are trademarks or registered trademarks of UNorth, Inc. in the United States and other countries. MOTA GIGA™-8000 - Commercial workhorse with optional DRONE HANDS™ Flight Management System for autonomous flight and payload handling. Applications include agriculture, defense, energy, first responder, real estate, security, and more. MOTA JETJAT™ Nano-C - At 32 mm on either side and 22 mm high, it's perhaps the world's smallest, lightest video drone. Capable of high-speed maneuvers and aerial acrobatics. Capture your dare devil flights from a bird's-eye view!